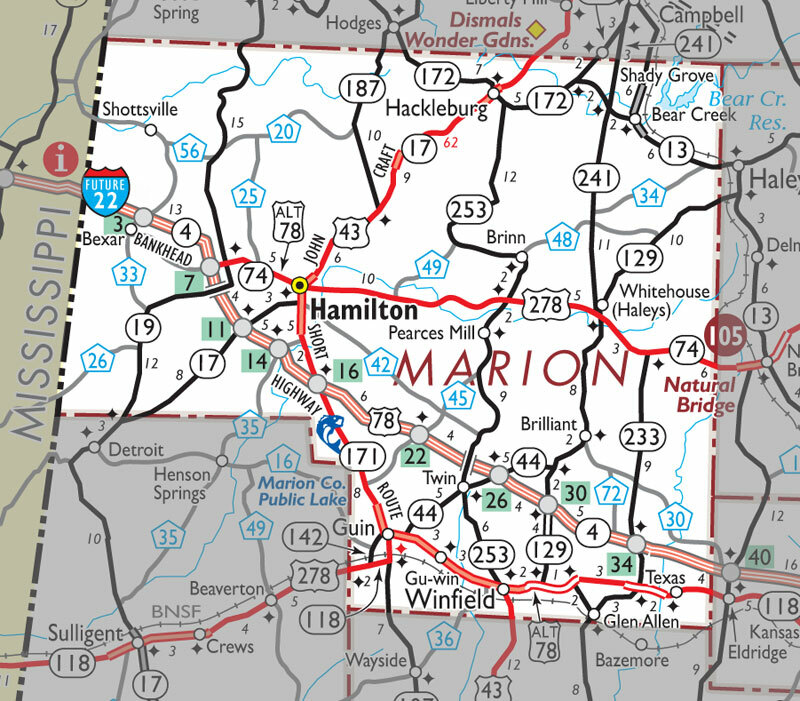 Winfield - Two men and a woman are being held in the Marion County Jail in Hamilton in connection with the stabbing death of a Fayette man during an altercation in Winfield. Charged with murder in the case are Morgan Shirley, Candice Beaty and Mareya Hannah, all of Winfield. William Jerome Henry, 48, Fayette, is reported to have died from a stab wound to the back. He was transported by ambulance to the Northwest Medical Center in Winfield by Marion County Emergency Medical Services. He was later pronounced dead at the hospital. The incident occurred prior to 4 p.m. on Saturday, April 30, with officers from four local departments responding to the scene at 137 Mill Street. The house is located in what is still known to many as the Mill Village near the former home of the Winfield Cotton Mill, west of the old Winfield Post Office. No details have been given as to why Henry had been at the home or his connection to those who live at the house. “We are still very early in this investigation and are not really able to provide many of the details at this time,’’ said Winfield Police Investigator Brett Burleson in an interview with the Journal Record on Monday May 2. Burleson confirmed that the three suspects in the case are being held on an assortment of unrelated charges. But the investigator said that he would be filling murder charges in the death later on Monday, May 2. The investigator said he would be charging all three at the scene with the murder. Authorities remained at the crime scene until 1:30 a.m. on Sunday, May 1, while working inside a roped-off area around the small house. Burleson said the murder remains under investigation with more details expected to be released later in the week. He also credited the numerous other departments in the area for their assistance following the incident. He credited officers with the Marion County Sheriff’s Department and police departments from Brilliant and Guin with assisting Winfield police. Burleson said the activity surrounding the incident was so time-consuming that the Brilliant and Guin police departments were responding to other calls for the Winfield department. Winfield Assistant Police Chief Shane Hughes agreed. “Those departments went above and beyond the call of duty in rendering assistance,’’ Hughes said. An officer with the State Bureau of Investigation was at the Winfield police station on Monday preparing to provide assistance in the case. In ending the interview, Burleson issued a call to prayer from all those who would. “I would appreciate any who read this story to pray for not only the family of the victim, but also for the families of those others who were involved,’’ Burleson said.